Ten Squads, Ten Stories is a series that concentrates on one team in the National Women’s Soccer League (NWSL), and highlights a player or theme. This installment features Boston Breakers head coach Matt Beard and the trio of his former Liverpool Ladies players who have reunited with Beard in Boston for the 2016 NWSL season. 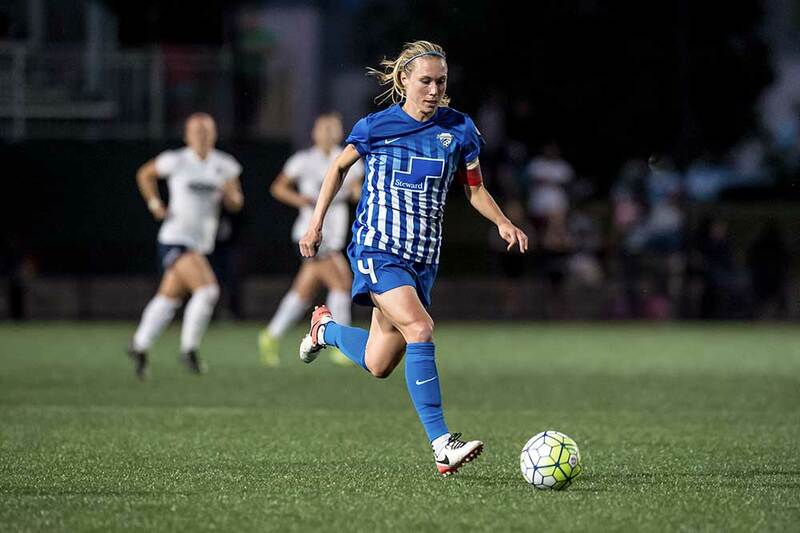 The Boston Breakers began searching for a new head coach after the 2015 National Women’s Soccer League season ended. The ideal candidate was one who could help turn around a team that struggled for two seasons under then head coach Tom Durkin. 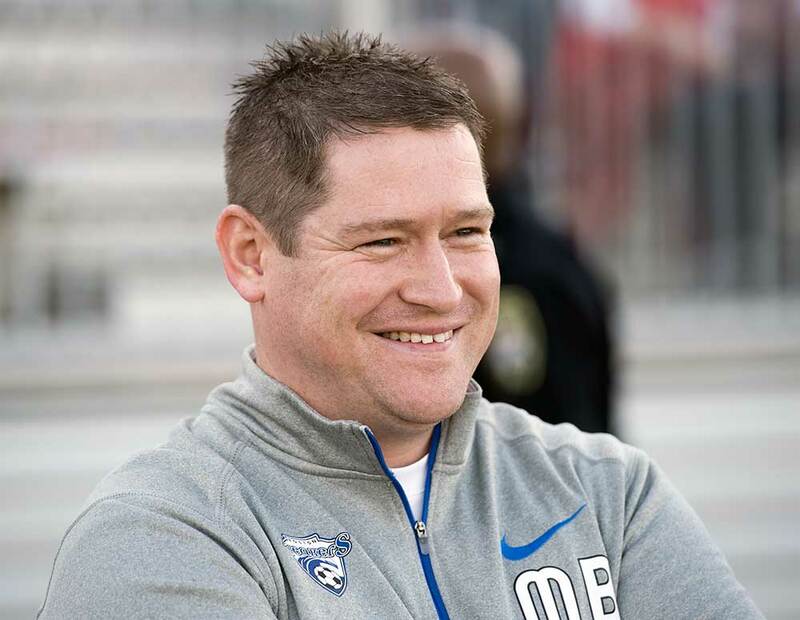 In late September, the Breakers announced they had come to terms with Matt Beard, the man responsible for turning England’s Liverpool Ladies into two-time FA Women’s Super League (FA WSL) champions after inheriting the team in 2012 when it was near the bottom of the table. With Liverpool finishing in the middle of the table in 2015, and with the FA WSL’s top teams making investments to their squads that no other teams in that league could compete with, Beard decided it was time for a new challenge and a new opportunity. Unlike prior moves for Beard — he has coached previously with Charlton Athletic, Millwall, and Chelsea — this was a move to a foreign country with a different league structure and style of play. 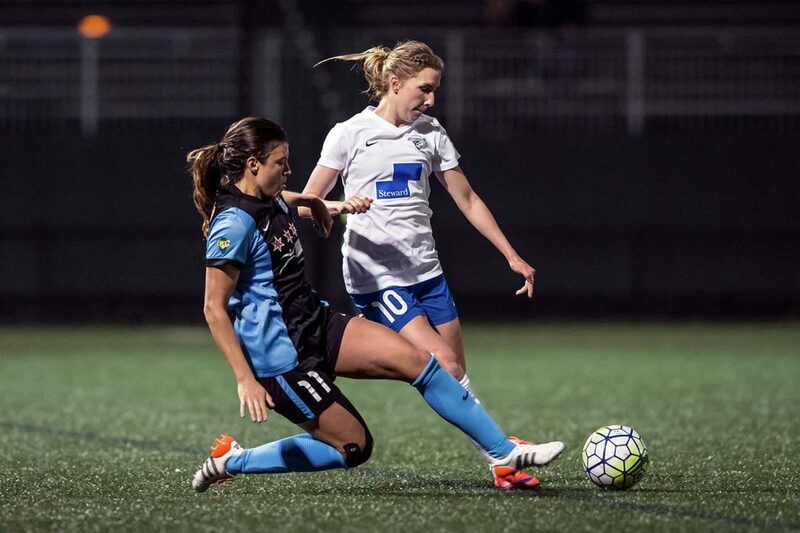 However, the stars aligned themselves in such a way that when the Breakers’ 2016 season kicked off, the roster featured three players who had won titles with him at Liverpool: Whitney Engen, Louise Schillgard, and Libby Stout. For someone like Engen, who played with Liverpool in their 2013 FA WSL title-winning campaign, she was especially excited to have the chance to work with a familiar face after coming to Boston this season via a trade. “When I came in here, I wanted to have a goalkeeper, a defender, and a midfielder that understands how I play and makes transition for other players a little easier,” Beard said. When the Breakers announced the signing of Beard in September, he immediately started to bring in players who knew his system. One of the things that he noticed while watching archived games of the Breakers was the need for a center back who could keep the back line organized and be a leader. He knew Whitney Engen was exactly the player who could fill that role. 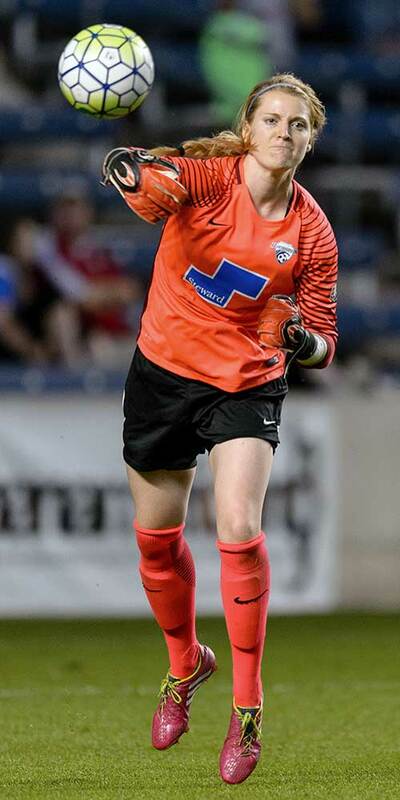 The Breakers had to trade long-time goalkeeper Alyssa Naeher to the Chicago Red Stars to acquire Engen, but it was a move Beard was willing to make. Next up on the list was to acquire a goalkeeper, and more specifically, a goalkeeper who could come in and start from day one after the Naeher trade. Libby Stout was the player Beard had in mind, and a move already in the making. Stout had played four seasons in Europe and the previous two with Beard at Liverpool. While Stout was considering moving back to the United States, she had an opportunity to continue her career at Liverpool, a place where had grown so much during her young professional career. So with the spine of the defense set in stone for Beard, he went searching for a midfielder who could adapt to the quick pace and physical play of the NWSL. However, the ideal player in his mind to fill that role had retired from soccer more than a year ago. Louise Schillgard had been playing at professional level since the age of 14 when she first suited up for Hammarby IF in the Swedish Damallsvenskan. She also featured with Linköping and AIK, also in Sweden, as well with RCD Espanyol in Spain and Western Sydney Wanderers in Australia. Schillgard would help Liverpool win the 2013 FA WSL title, scoring the first goal in Liverpool’s title-clinching 2-0 win over Bristol. By this time, she had also made 23 appearances for the Swedish national team and played at EURO 2009. But in June of 2014, she announced her retirement at the age of 24 to focus on her family life. In January of this past year, Beard reached out to Schillgard about possibly coming out of retirement and joining him in Boston. And that was an offer she couldn’t refuse, even with being out of the game for 18 months. It’s been no secret that 2016 hasn’t been the ideal season for Beard and the Breakers. Heading into their match against Sky Blue this weekend, they sit in last place having won just one match in 12 played while conceding 26 goals in the process. Injuries and bad luck have played a part in the Breakers season while Beard has had to work with a young roster while he attempts to integrate his tactics and adjusts to the American game. Beard recognizes that this season has been a challenge for him as he has transitioned from the FA WSL’s style of play to that of the NWSL. Stout noted that the two leagues feature completely different styles of play. In the FA WSL, teams build through each third of the field and play more centrally. In the NWSL, there is a lot of counter-attacking and flank play. Even for Stout, who played her collegiate career in the United States at Western Kentucky, there has been a transition period from playing one style to the other. The one thing the players have noted about Beard is that while the on-field results have not come their way, it is not for a lack of game preparation. Engen said that similar to her time playing with Liverpool, there is no tactic forgotten when the team is getting ready for their next match. It’s tough to keep your spirits up when you lose week after week. But what all three players discussed about Beard is that his passion for the sport is what keeps them going and building toward better results. Schillgard echoed Stouts’ thoughts in her email: Beard, based on her time at Liverpool, “knows how to build a good team together. I like the way he wants us to play,” and that has carried over in his time in Boston. Part of Beard’s passion for the game comes from a soccer-playing family in which his father worked in the game his entire life and his brother played professionally. That passion was also fostered during his coaching days with Liverpool where he had opportunities to watch and learn from the head coach of the men’s team. He watched how the coaching staff went through their daily routine in training and saw how passion for the game was expressed from all of the players on the field, something he emulates now during his sessions. While the Breakers are all but mathematically eliminated from making the postseason this season, Beard believes his club is making the right strides toward improvement and getting results on the field. With eight matches left and five of those at home, there is still time to make a push into the middle third of the standings before the offseason begins.